Fort Riley, Kansas was a sprawling establishment housing 26,000 men and encompassing an entire camp, Camp Funston, within its 20,000-acre boundaries. Soldiers often complained about the inhospitable weather to be found at the site: bone-chilling winters and sweltering summers. Sandwiched in between these two extremes were the blinding dust storms. Within the camp were thousands of horses and mules that produced a stifling nine tons of manure each month. The accepted method of disposing of the manure was to burn it, an unpleasant task made more so by the driving wind. On Saturday, March 9, 1918, a threatening black sky forecast the coming of a significant dust storm. The dust, combining with the ash of burning manure, kicked up a stinging, stinking yellow haze. The sun was said to have gone dead black in Kansas that day. Some, looking for a point of origin of the so-called Spanish influenza that would eventually take the lives of 600,000 Americans, point to that day in Kansas. 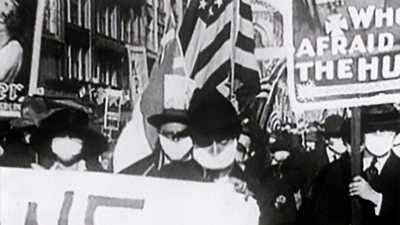 Shortly before breakfast on Monday, March 11, the first domino would fall signaling the commencement of the first wave of the 1918 influenza. Company cook Albert Gitchell reported to the camp infirmary with complaints of a “bad cold.” Right behind him came Corporal Lee W. Drake voicing similar complaints. By noon, camp surgeon Edward R. Schreiner had over 100 sick men on his hands, all apparently suffering from the same malady. 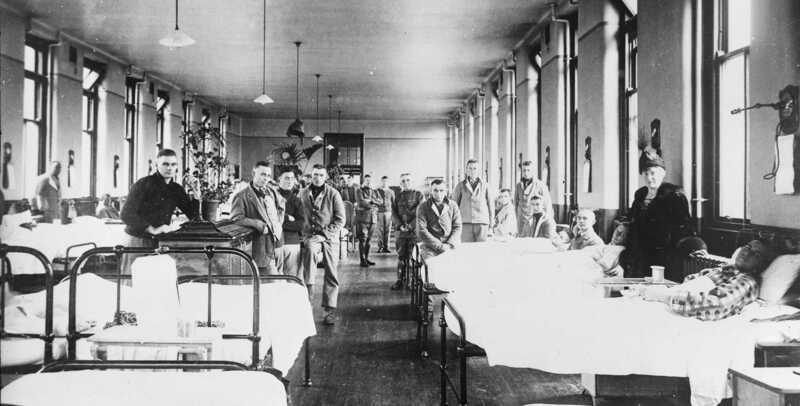 Any evidence of an influenza epidemic in the spring of 1918 was furnished by those institutions that kept a close eye on those under their watch: the military and prisons. In April and May, over 500 prisoners at San Quentin in California came down with the same condition that had struck soldiers at Camp Riley, as well as camps Hancock, Lewis, Sherman, Fremont, and several others. Influenza spreading amongst men living in close quarters did not particularly alarm the public health officials of the day. Little data existed at the time to indicate a sizable spread among the civilian population. Besides, the nation had bigger matters on its mind. There was a war to win. In the spring of 1918, it appeared that America’s involvement in the fight against Germany was beginning to make a difference. In March, 84,000 American “dough-boys” set out for Europe; they were followed by another 118,000 the next month. Little did they know they were carrying with them a virus that would prove to be more deadly then the rifles they carried. While sailing across the Atlantic, the 15th U.S. Cavalry incurred 36 cases of influenza, resulting in six deaths. By May, the killer flu had established itself on two continents, and was still growing. The influenza of 1918 showed no bias in its approach to the combatants in World War I: men from all sides were sickened and killed. 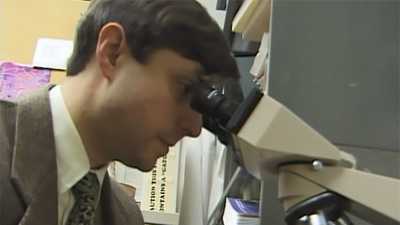 Great Britain reported 31,000 influenza cases in June alone. 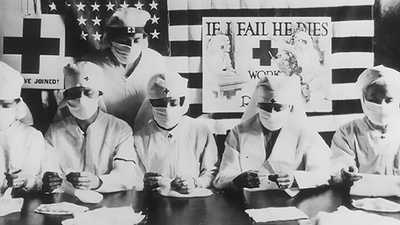 The flu proved such a leveler of men that war plans were altered. Attacks that had been painstakingly planned had to be postponed due to a shortage of healthy men. By early summer, the flu extended its reach beyond the U.S. and Western Europe. Numerous cases of influenza were reported in Russia, North Africa, and India. The Pacific Ocean provided no protection as influenza spread to parts of China, Japan, the Philippines, and down to New Zealand. By July, the influenza of 1918 had left its mark globally. Tens of thousands had fallen ill and died. This first wave was a mere prelude, however, to the perilous path the flu would cut when it reappeared in full force that fall.